MEA is proud to announce the release of As You Were: The Military Review, Volume 9 on Veterans Day 2018. This edition contains over thirty creative works of poetry, fiction, and non-fiction that represent several generations of military veterans and families. It includes work from new writers as well as award-winning poets, most of whom collaborated with editors to revise and polish their creations. Take a look at As You Were, Vol. 9 and learn about the lives of the greater military community through their own words. MEA is proud to announce the release of Blue Streak: A Journal of Military Poetry, Vol. 2. This is a special poetry edition that was prompted by the submission of more exemplary poetry than our signature publication, As You Were, could contain. Blue Streak, Vol. 2 contains nearly thirty poems that illustrate a broad range of experiences both within the military and without. Some are sad. Some are light and humorous. All of them are worthy of attention. You can reach Blue Streak, Vol. 2 by clicking on the links in this post or by navigating the “Publications” menu above. We hope you enjoy these poems, and, most importantly, we hope you learn from the poets who have lent their voices to this volume. 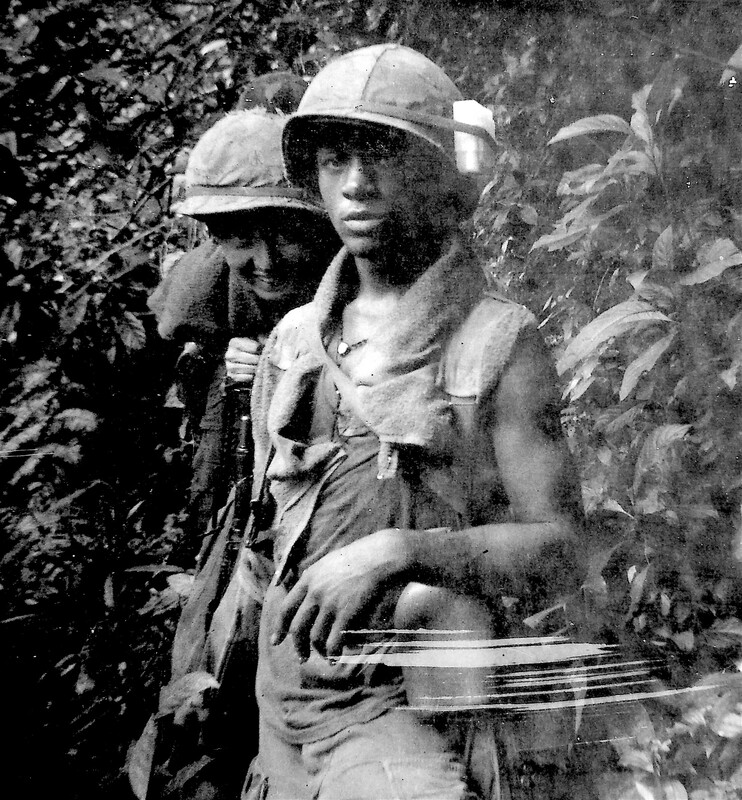 On a January 1967 patrol in a remote valley of the highland wilds in Binh Dinh province, South Vietnam, miles from any friendly force, United States Army infantryman Stephen Saunders screamed inside his head, “‘Nobody cough or move.’” His inner voice was trying to reach the inner ears of Ski and Hays, the other two members of three-man “pony team.” What he had just seen was a khaki-clad NVA soldier toting an SKS rifle four feet in front of and above him on a trail. Thankfully, his comrades somehow heard. He recalls that event regularly now in his Garnavillo, Iowa, home. When, in the fall of 2015, Longwood University (Farmville, Virginia) and Military Experience and the Arts put out a call to military, veterans, and family members to tell their stories, we were uncertain about who, if anyone, would respond. We named this effort “Home and Abroad” to emphasize that we wanted to learn about the personal experiences of those who served overseas in the military and those who supported them stateside. We have been surprised at the numbers of individuals who have contacted us and by the power of their stories. In 2015 Thomas Bragg of Blackstone, Virginia, might have been hearing his own voice when he read for the first time a 1969 Newsweek story with the head-line, “Death in a Quiet Week.“ The reporter quotes “a close friend” of Edward Bartholomew Lama, from Mundelein, IL: “‘He was an unusual guy. You liked him from the first time you laid eyes on him. He could tell if you were feeling depressed or if there was anything wrong. 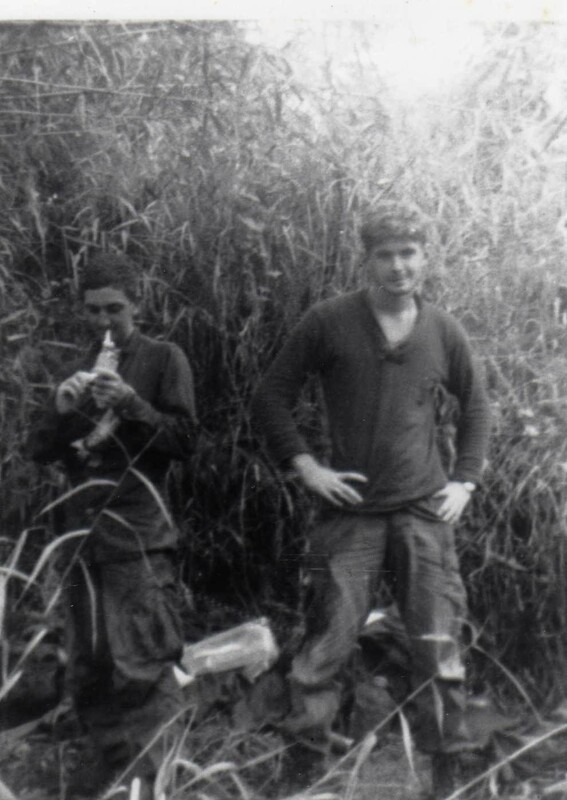 And he could almost kid new men into forgetting they were in the Army.’” Thomas Bragg and Eddie Lama were fast friends until Eddie was killed in July 1969. Forty-six years later Thomas wanted to bring back his friend’s voice. He began by scrutinizing the photos they had taken with Polaroid cameras during their tour. Contacting members of the Lama family and childhood friends, he was able to put his fellow soldier’s story into words. He concludes in “Keeping it Lively: The Hunt for Eddie Lama” that he hopes his account of his friend’s life has made “him lively again” (25). Who are the readers of these stories of military experience? One other writer can help answer these questions. Hospital chaplain and retired Navy veteran, Willie Smith, Sr. recounts a fictional version of one man’s experience of brutality, using graphic imagery in a terse, powerful poem, “The Patient.” Here a man tells “the visiting chaplain” that, coming out of the shadows, he had surprised his horse, who then turned on him: “He confessed of having only the living witness in him spared from the hoofs and massive muscles / Thrusting up and down from the high heavens, and falling upon his head, arms, wrists, groin, legs—as if all at once…“ Bearing “witness” here is not simply easing his conscience about how he has injured people he cares about but also attempting to prevent others from taking similar action. He knows he has hurt his family, perhaps not physically but certainly emotionally. And, like many converts, he hopes to prevent others from imitating his actions. Home and Abroad authors are bearing witness to the trials, challenges, and rewards of military service. Their readers are fellow members of the military, veterans, and family members, but, perhaps more importantly, our current civilian population, which is often spared such realities. We acknowledge that there are many ways in which citizens serve the nation—as teachers, police, medical personnel, business leaders, laborers, farmers and many more. However, in other professions, individuals have the option of resigning if they feel their work situations are unacceptable. Giving up a job may cost salary, benefits, and future prospects, but members of the military do not have that option except at the end of their current time of enlistment. What they give up to protect our freedoms is their own freedom. Like firefighters and law enforcement officials, they are also volunteering to put themselves in harm’s way. And, unlike in past generations, today’s wars are carried on by a tiny minority of the nation, about 1% of its citizens. The remaining 99% can choose to take for granted what that 1% does. The hope of Home and Abroad is that many of us will agree that citizenship in a country with an all-volunteer military mandates that all understand what is undertaken to protect the nation’s way of life.